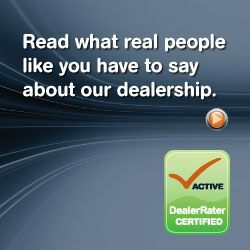 DealerRater, North America's #1 online resource for automotive reviews officially awarded their 2013 Dealer of the Year Awards. Ontario Motor Sales has proudly received 2013 Dealer of The Year Award for Cadillac. With an overall 24 month rating of 4.9 out of 5, Ontario Motor Sales was recognized amongst a vast span of 40,000 United States and Canadian dealerships who share a collective of nearly 950,000 consumer reviews. We thank each and every one of you has wrote a review regarding the experience purchasing your new or certified pre-owned Chevrolet or Cadillac vehicle. If you have recently purchased a vehicle from Ontario Motor Sales and haven't yet placed a review, we would love to hear your feedback. Family owned for 90 years, Ontario Motor Sales is Ontario's #1 Chevrolet & Cadillac dealership by volume two years running. You can give us a call at 1 877 710 2438 or email at sales@ontariomotorsales.com.